Office 2019, the next version of Microsoft Office, which was first previewed in April 2018, is now coming out from its preview stage. Microsoft today announced the availability of Office 2019 for Windows and Mac operating systems. Though this has been now released as a volume license, but will be available to all customers, consumers and commercials in the next few weeks. Office 2019 is a one-time release and won't receive any future feature updates. But, the Office 365 Pro Plus users will get all updates, including innovations in collaboration, artificial intelligence (AI), security and others. The new enhancements in Office 2019 are a subset of the features that have been already added to Office 365 Pro Plus over the last three years. As announced by Microsoft earlier, Office 2019 will run only on supported versions of Windows 10. For a detailed list of system requirements to run Office 2019 product, check this post. Office 2019 has been released for the customers who aren't ready for the cloud (Office 365). Beginning today, the Office 2019 is immediately available to commercial (trusted) volume license customers and will be available to all customers in the next few weeks. Are you already on the Office 365? Then you need not to worry. The new features part of this release are already available in your latest monthly channel builds. Do you think that Office 365 is set to be Microsoft's next breakout success? I would be happy to read your views on my Twitter channel. How to download, deploy and active Office 2019? If you’re using KMS or Active Directory-based activation, download the Office 2019 Volume License Pack from the Microsoft Download Center and install the license files on your KMS host server. Sign into the Volume Licensing Service Center and get your KMS or MAK client activation keys for Office 2019. Download and deploy Office 2019 by using the Office Deployment Tool. For more information about how to download, deploy and activate Office 2019, see https://docs.microsoft.com/deployoffice/office2019. 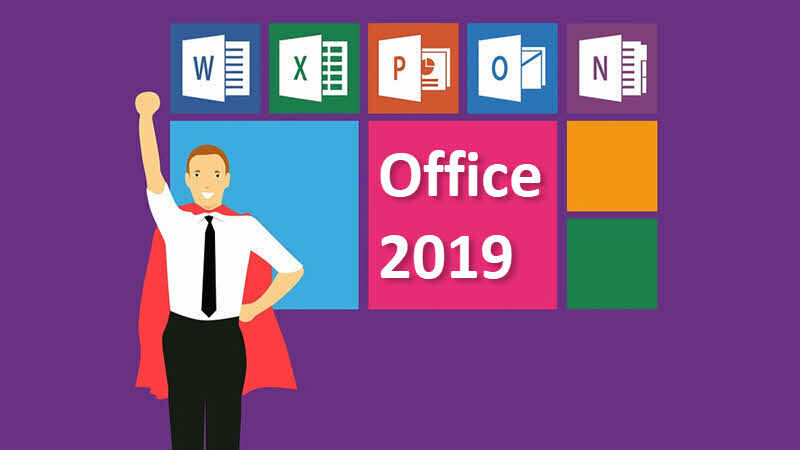 How to update existing Office 2019 Preview to Office 2019? If you are a volume licensed customer that's licensed for Office 2019 and you want to update your Office 2019 Preview to Office 2019, you don't need to uninstall Office 2019 Preview. You just need to activate that installation with the appropriate KMS or MAK client activation key for your organization. If you are not a volume licensed customer, you will need to purchase Office 2019 license. After you purchase Office 2019, you need to uninstall Office 2019 Preview before installing Office 2019. If you have come this far, it means that you liked what you are reading (Office 2019 is now available for Windows and Mac OS).